My own path to fitness began with a weight loss of over 135lbs. That gradual transformation gives me the unique perspective of someone who has experienced both the anxieties and successes of trying to achieve something seemingly beyond them. I then took what I learned from that experience with weight-loss to other personal fitness goals. In the gym, I have developed from a novice into a seasoned professional trainer. Athletically I have gone from a cycling enthusiast to a true race rider; from a runner to an event participant and coach; from a swimmer to a leader in large-scale multi-sport events. 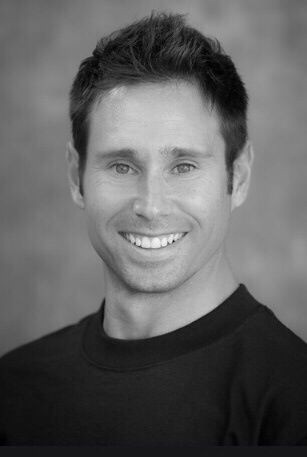 My focus and specialty as a Personal Trainer in Santa Barbara are providing results while helping individuals and groups to achieve a higher level of proper body mechanics. I am lucky to be one of the first to provide Certified Foundation Training in Santa Barbara and to have become one of their International Master Instructors. I have taken the first steps on many fitness journeys and have the experience to help you on your own, regardless of the goal. I was born and raised in Santa Barbara and graduated from UCSB with BA degrees in both History of Public Policy and Black Studies. Having worked my way through school as a trainer, I chose to pursue a career in the Health and Wellness field. In order to provide a higher level of service, I embarked on a more serious education in Physical Wellness and now hold several certifications in the field among other degrees. My career in the fitness industry has found me in many roles, from working the front desk at two large private athletic clubs to teaching classes of 100+ participants to having a stable client base of over 40 clients a week; all while placing an emphasis on my continuing education and expanding the impact I make in my community.